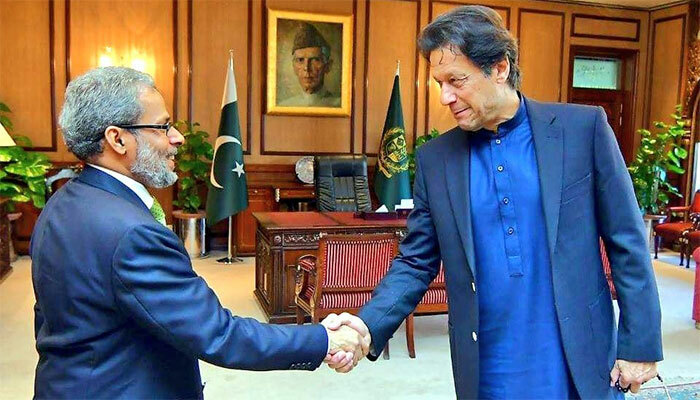 ISLAMABAD: Yemen Ambassador to Pakistan Mohammed Mohatar Alashabi called on Prime Minister Imran Khan at his office on Wednesday. The envoy expressed good wishes for the people of Pakistan and discussed the regional and political situation with PM Khan. Geo News quoting sources reported that during the meeting, PM Imran said Pakistan wants a peaceful and an acceptable solution to the war Yemen war. The sources added Imran Khan told the Yemen envoy that if all stakeholders are in agreement then Pakistan can play the role of a mediator in the peace process. Last month, while addressing the nation, PM Imran Khan had said Pakistan will act as a mediator in the war between the Houthi rebels and Saudi Arabia-led alliance in Yemen. The prime minister said this while addressing the nation in order to take the people into confidence over his recent visit to Saudi Arabia and Pakistan's political and economic situation. The premier said he will try to get the Muslim countries together, besides acting as a "mediator" in resolution of conflicts between the Muslim countries. "We are trying our best to act as a mediator to resolve the Yemen crisis," he said.